Ann R. Currie was born in Lexington, Kentucky and spent her formative years in Fairfax County, Virginia. She earned her BA in Mathematics at Mary Washington College, Fredericksburg, VA, in 1969, followed by her MFA at James Madison University, Harrisonburg, VA, in 1999, specializing in Papermaking and Sculpture. Her experience as an educator on the collegiate level includes teaching in the art departments of James Madison University, Eastern Mennonite University and Lord Fairfax Community College where she retired as Professor Emeritus of Art and Art History in 2012. Inspired by the natural world around her, she relies upon the process of drawing to connect her to the environment. 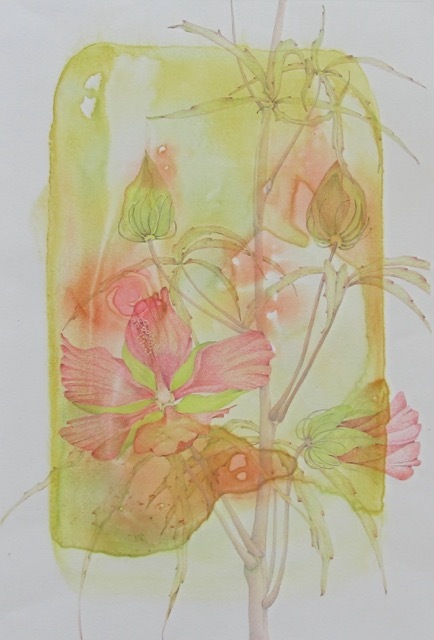 In her botanical illustrations she is interested in visual layers as evidenced by graphite and colored pencil drawings on watercolor monoprint surfaces. In these drawings both the colorful backgrounds and the botanical objects are of equal visual importance often making the plants seem almost transparent. Sculptural presence is fundamental to her three dimensional paper pods. 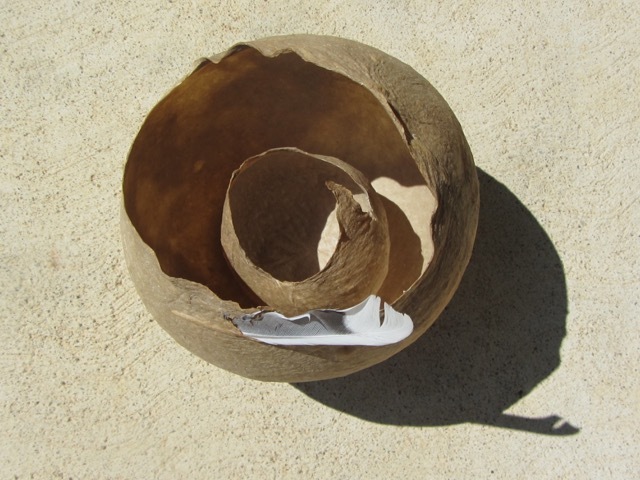 Using flax pulp to cover collapsible moulds, she creates hollow forms that suggest empty cocoons, nests or eggs. As with her drawings, these sculptural forms remind her of the expressive potential that abides in fields and forests.